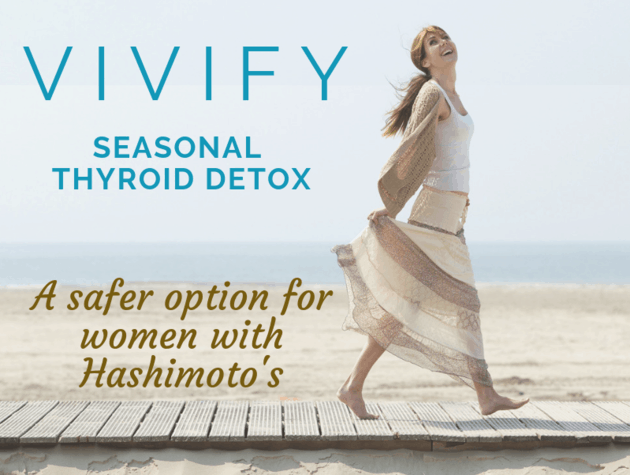 For this season's detox/cleanse program I personally reviewed a variety of options appropriate for a gentle, safe, and effective detox experience. As a functional nurse-nutritionist I have many science-based products and programs from which to choose. 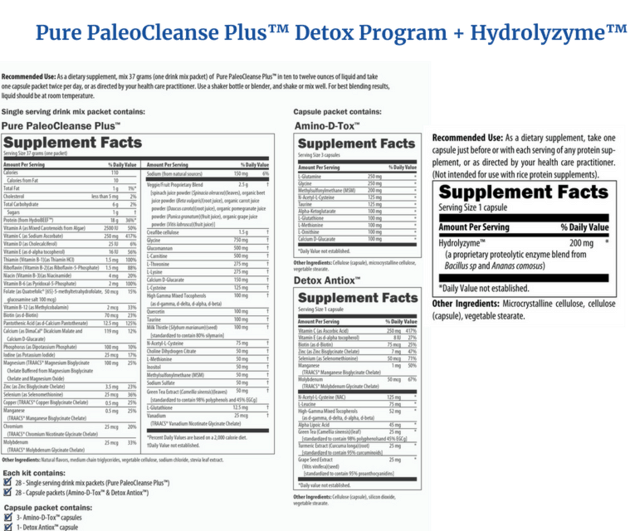 Of the choices at various price points, I selected the Pure PaleoCleanse Plus™ Detox Program by Designs for Health. Pure bone broth protein isolate is an appropriate option (as compared to pea protein as the only available option in the past) for women with autoimmune issues including Hashimoto's. Since protein digestion is initiated in the stomach, less time in the stomach means less time for digestion. Additionally, many individuals have digestion that is less than optimal and will likely experience poor digestion and absorption of protein supplements. Hydrolyzyme™ works efficiently to combat the incomplete digestion of protein supplementation.